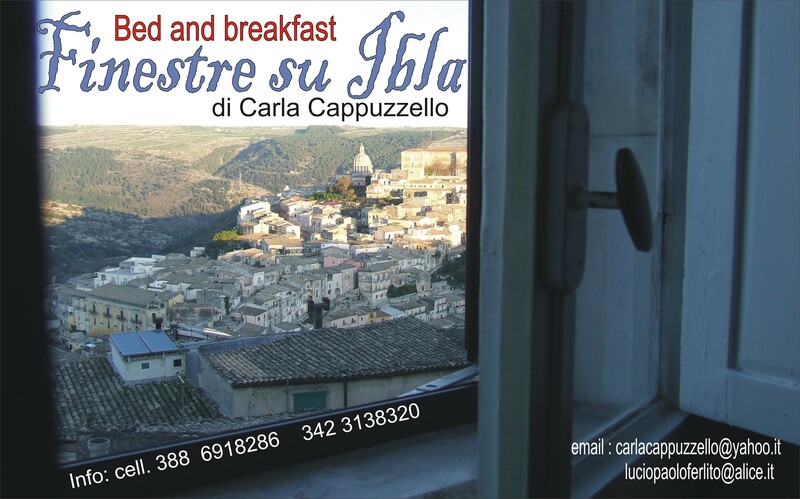 Finestre su Ibla is a B&B located in the historical centre of Ragusa with an amazing view over the baroque village of Ibla surrounded by the green of Monti Iblei. At a stone's throw from the beautiful Chiesa di Santa Lucia and Chiesa di Santa Maria delle Scale and at a couple of minutes away from the Duomo di San Giovanni Battista, monuments included in the Unesco's Heritage, the B&B offers the possibility to stay overnight and to enjoy a typical Italian breakfast on the terrace in a location dear to movies directors and artists. A proposed route characterized by ancient steps, lanes, small houses and gorgeous baroque style stately buildings makes the walker get to the historical centre of Ibla in few minutes. Besides, just at about 20 meters from the B&B the bus stop which links easily the modern and the ancient parts of Ragusa.